There are a few different ways to create more space in your kitchen. One of our favourite ones is a kitchen nook! Kitchen nooks are extremely cozy, stylish and very practical. We all have a little corner in our home that is surrounded by windows and natural light, and we don’t really know what to do with. It could be in the kitchen, sunroom or even living room. Now that would be the perfect location to have a little nook. There are many different sizes of nooks you can play with, depending on the space size you are working around. Size and location aside, all nooks have a couple things in common. Because nooks generally fit around a corner, a bench is ideal to fill it that space. Then there’s usually a smaller to medium sized table, it would be round, oval or square… Even rectangular if you are putting together a larger nook. Then we have a couple chairs on the other side of the bench to complete the nook. Here’s why this is the ideal set up! We like to place the chairs on the opposite side of the bench where there isn’t a wall behind them to create the illusion of more space. Due to chairs already having a backrest, there is no need for a wall right behind them. The bench on the other hand needs the support of the wall and acts like a back support. Also, if you are a fan of additional storage, you could always go with a bench that has built-in storage. It could become your secret place where you could hide all birthday gifts or Christmas gifts away from your curious family members. Now that we’ve got the sitting arrangement done, let’s tackle the table. The table is an essential part of the kitchen nook. Our ideal choice would be a table that provides room all around. We love table that are built with table legs right in the middle to create a breathable and roomy design. Here are a few tables that would fit your kitchen nook perfectly, keep in mind you can customize any of our tables with the stain you prefer! 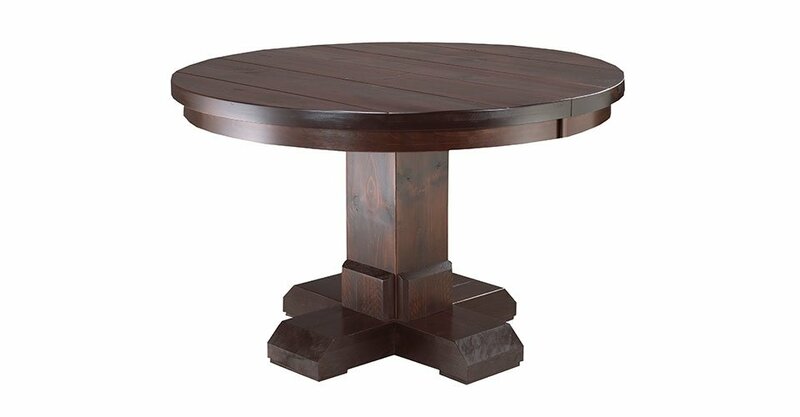 Stunning and stylish, this round table is a great choice that fits a variety of tastes and styles. It has strong design features with elegant lines that would bring a subtle wow factor to the space. 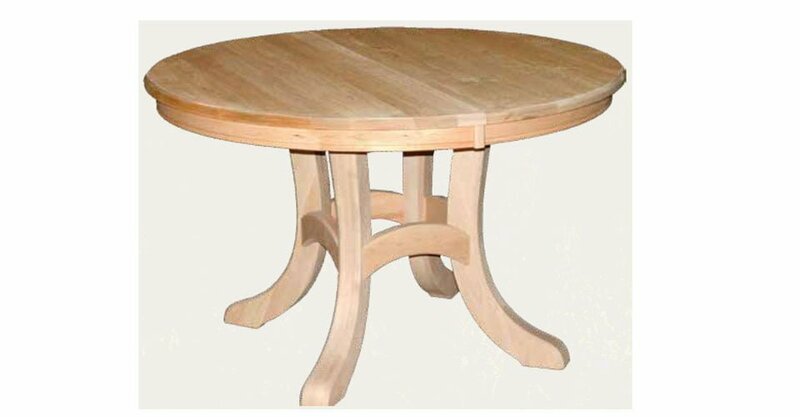 Cozy round dining table that would fit perfectly in kitchen nook. It’s a great size with beautiful design elements and sturdy built. The shrewsbury table features bold designs with a classic twist. It’s stunning and unique looks will definitely bring a vintage and one-of-a-kind look to your kitchen. 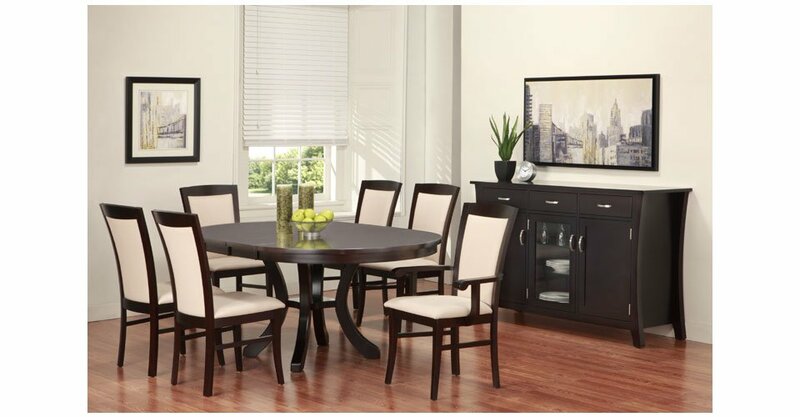 This elegant table will fit perfectly in a larger setting, as we mentioned earlier, there’s a variety of nook sizes. 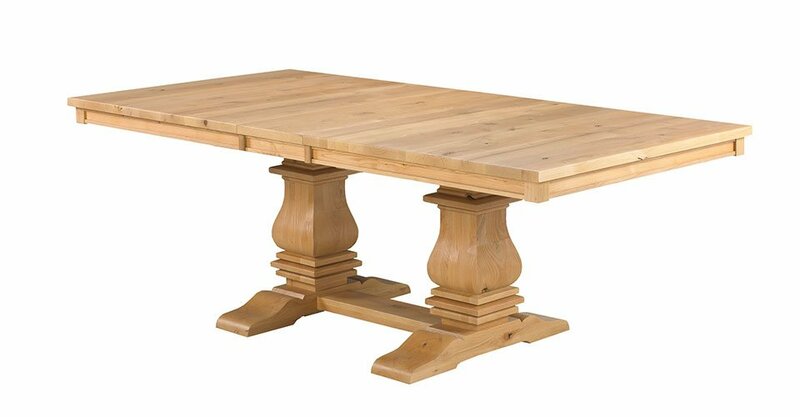 We love this table because the stunning table legs are located in the middle for more room all around. Stunning design elements brought together for a show stopper table. 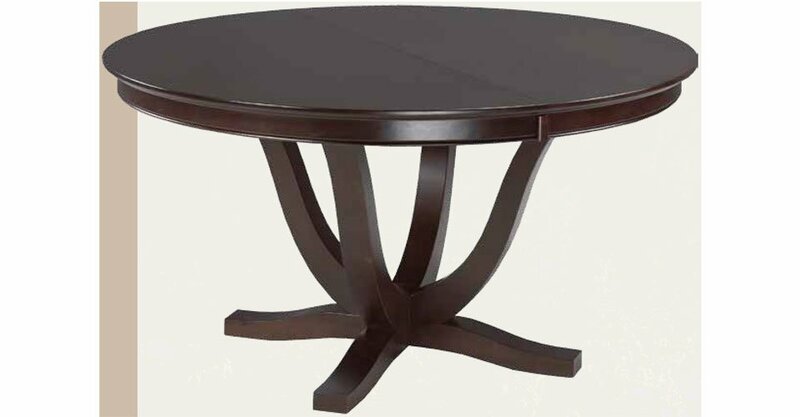 Beautifully detailed table with strong features combined with a elegant table top, this table would be perfect for a larger kitchen nook.